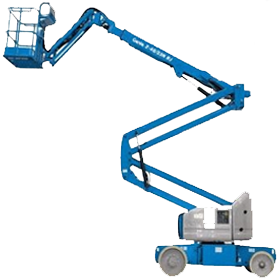 The Sendhamarai Engineering boom lift hire service provides you with a range of machines ranging from 11m up to 17m. We have specialist machines which are made exclusively for the constructions and industrial area. 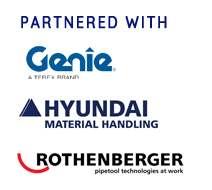 Sendhamarai Engineering Offered Genie Bi-Energy boom lift machines offer quiet, emission-free operation in the most sensitive work in environments. For industrial applications. Boom lift bi-energy system combines the benefits of a 48V DC machine with the versatility of a diesel-powered generator used our machine. 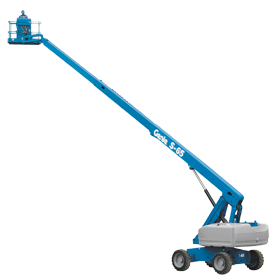 Genie Boom Lifts Electric and Bi-Energy machines offer quiet, emission-free operation in the most responsive work environments. 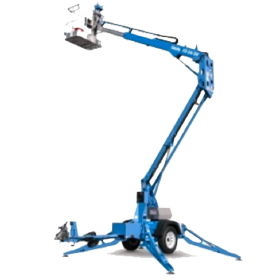 Boom Lifts Works in tight spaces with zero tail swing and front arm swing in stowed and raised positions. Boom lift have 47 in (1.19 m) wide chassis for narrow aisle access. 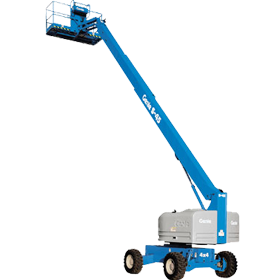 Genie Boom Lift Z-30/20 N RJ optional rotating jib offers 200° of horizontal rotation. This boom lift has self-levelling platform features 180° powered horizontal rotation for precise positioning and easy operation. Drive performance of 35% grade ability boom lift and 3.3 mph travel speed. Boom lift motor controller eliminates the need for forward/reverse contactors or speed sensors, boom lift reducing complexity and improving reliability. Boom Lifts Electric and Bi-Energy machines offer quiet, emission-free operation in the most responsive work environments. This boom lift have more prefer in industrial region. Articulating Boom Lifts 48V DC machine with diesel powered generator performing as 100 amp battery charger make it ideal for indoor and outdoor platform. Boom Lifts has maximum drive performance of 30% grade ability and 4.0 mph travel speed. 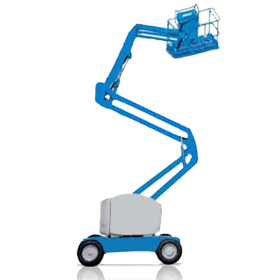 The direct electric boom lift have, 48V drive system provides outstanding battery life. The boom lift 4 ft (1.2 m) jib features 139° working range. 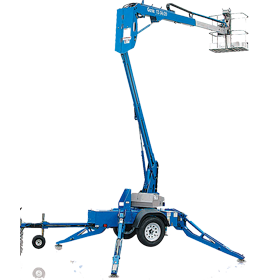 Genie boom lifts have self-leveling platform features 180° powered horizontal rotation for precise positioning and easy operation. The boom lift Easy Versatile 40 ft 6 in (12.52 m) working height, 22 ft 3 in (6.78 m) horizontal reach. Compact 68 in (1.73 m) width boom lift. Boom Lifts are Automatic hill braking and ramp braking. Boom lift Motors controller eliminates the need for forward/reverse contactors or speed sensors reducing complexity and improving reliability of the drive system. The direct electric boom lift have, 48V drive system provides outstanding battery life 4 ft (1.2 m) jib features 139° working range. 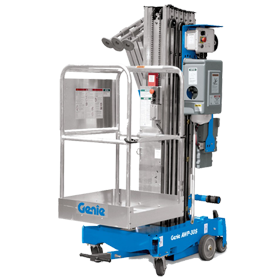 Genie Lifts Electric and Bi-Energy machines offer quiet, emission-free operation in the most sensitive work environments. 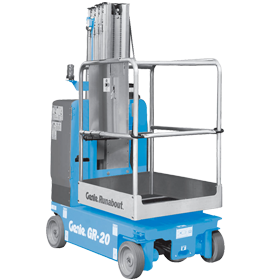 Genie boom lifts have 48V DC machine with diesel powered generator acting as 100 amp battery charger make this boom lift ideal for indoor and outdoor applications. 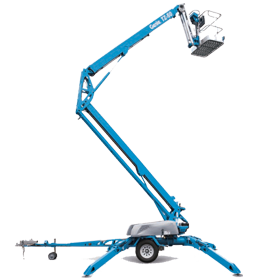 Genie boom lifts is the Perfect to work in congested area with 4 ft 11 in (1.50 m) wide chassis and 2 ft. 8 in. (87 cm) turning radius. Proportional boom lift and drive controls for precise adjustments in tight areas. 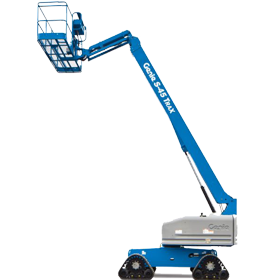 Genie articulating boom lifts have Maximum drive performance of 30% grade ability and 4.0 mph travel speed. Genie boom lift motor controller reduces complexity and improves reliability of the drive system. The boom lift of 34V three-phase AC drive system contain smaller amount of parts and simplifies maintenance. 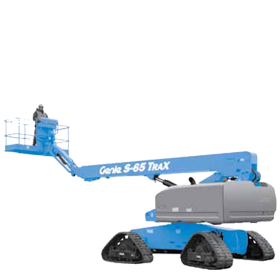 Genie boom lifts have self-levelling platform features 180° powered rotation for precise positioning and easy operation. 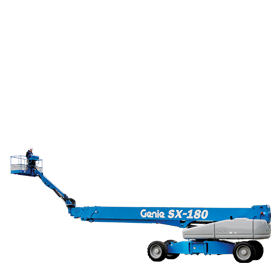 The Genie boom lift RJ model features 180° horizontal jib rotation. Easy ascent and descent along a vertical plane without retracting or extending the boom lift. 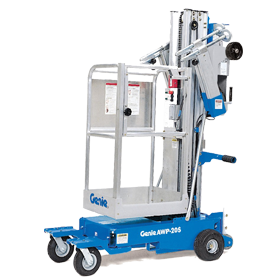 Genie articulating boom lifts have Automatic hill braking and ramp braking. The boom lift 6 ft (1.83 m) inside turning radius delivers excellent manoeuvrability. 2WD boom lift travels at 3 mph (4.8 km/h) with 30% grade ability. Ascent and descent boom lift along a vertical plane with or without boom retraction or extension. 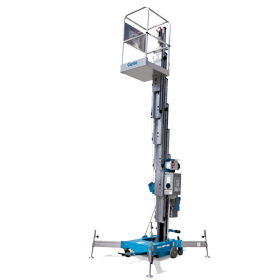 Genie boom lifts have large 6 ft (1.83 m) all-steel platform lifts up to 500 lb (227 kg). 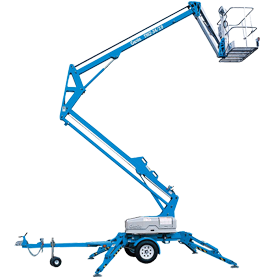 Genie boom lift have self-levelling platform features a 180° hydraulic rotation for Z-45/25 models and a 160° hydraulic rotation for Z-45/25J models. Drive enabled system informs boom lift operator when the drive and steer functions will move opposite controller movements. 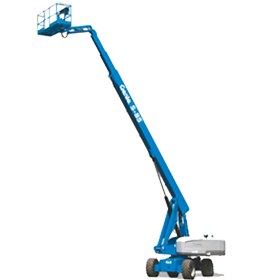 Genie boom lift 6 ft (1.83 m) inside turning radius delivers excellent manoeuvrability. Self-levelling platform features 180° powered rotation boom lift for precise positioning and easy operation. Genie boom lifts have 48V DC machine with diesel powered generator acting as 100 amp battery charger make this boom ideal for indoor and outdoor applications. Most of the articulated boom lift are Ideal for outdoor construction and industrial applications boom lift engine-powered articulating Z-boom Lift provide lifting versatility with a combination of up, out and over positioning capabilities and outreach that's second to none. Boom lift for outdoor construction and industrial applications. Tight turning radius and zero tail swing. Quiet diesel engine options deliver excellent power, terrainability ,torque, gradeability. Full-time positive drive traction system and active oscillating axle (most models) for traction on rough terrain. Telescopic boom Lift offer greater horizontal outreach than any other type of aerial platform — perfect for areas with limited access in construction and industrial applications. Genie telescopic booms are also designed for productivity with the traction and drive speed you need to get around the job site and to the work area. Ideal for areas with limited access in construction and industrial applications. Minimal tailswing for maneuvering in tight spaces. Dual-fuel (gas or LPG) options available for indoor/outdoor applications. Designed for productivity with the traction and drive speed you need. Super Boom models with horizontal outreach among the industry's best.